Proprietary Name: Laxative What is the Proprietary Name? 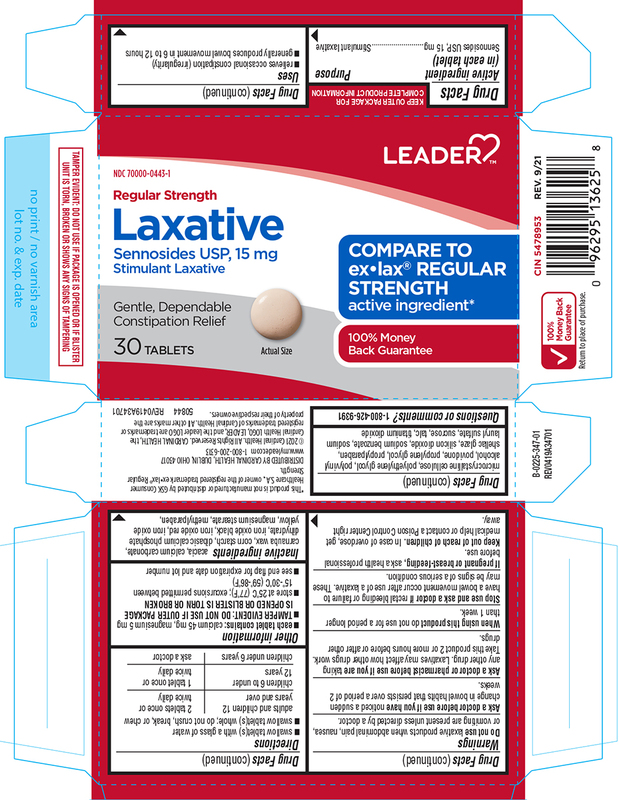 Laxative with NDC 70000-0443 is a a human over the counter drug product labeled by Cardinal Health. The generic name of Laxative is sennosides. The product's dosage form is tablet, sugar coated and is administered via oral form. Noticed a sudden change in bowel habits that persists over a period of 2 weeks. Are taking a prescription drug. Laxatives may affect how other drugs work. Take this product 2 or more hours before or after other drugs. Do not use for a period longer than 1 week. Rectal bleeding or failure to have a bowel movement occur after use of a laxative. These may be signs of a serious condition.